Maria Drenova is an Associate in the Banking and Finance practice in Dubai. 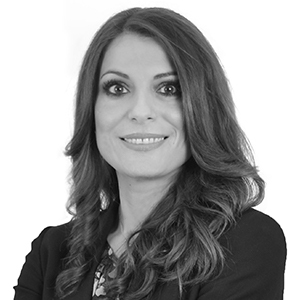 Maria is a solicitor admitted in England and Wales as well as an advocate admitted in Greece. She has over 6 years’ experience of corporate and finance law in Greece, the UK, Qatar and the UAE. She has particular expertise in general corporate lending, ship and asset finance and funds finance. She joined Al Tamimi in October 2018. Prior to joining Al Tamimi Maria worked at one of the leading law firms in Athens prior to joining the London office of a global law firm. In addition, Maria has a depth of knowledge of the construction sector having worked at one of the leading European and GCC construction companies, providing her with invaluable insight into the delivery of excellent client service. Acting for a major GCC lender on the update of its template loan & security documentation. Acting for the borrower on its $35,000,000 uncommitted transactional trade finance facility. Responsible for reviewing the loan and security documentation. 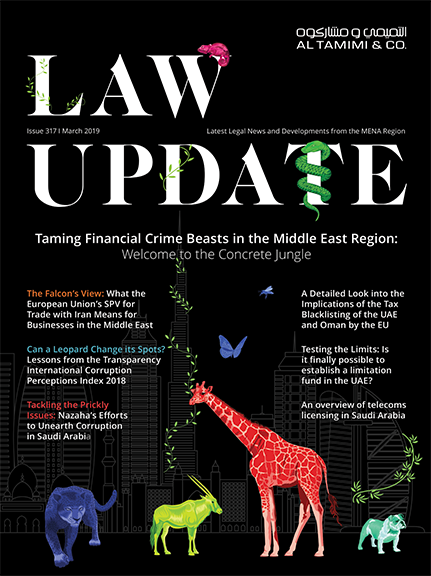 Advising foreign financial institutions on conduct of business guidelines on a cross border basis in the UAE. Acting for a major US financial institution on the purchase of a portfolio over US$850,000,000 of performing and non-performing shipping loans from a European lender. Responsible for conducting several aspects of the due diligence process and drafting the due diligence report. Assisting for on a series of facility agreements financing the acquisition of vessels. Responsible for drafting key transaction documentation. Assisting the largest U.S. based owner of Handymax dry bulk vessels on a number of sale and purchases of vessels. Reviewing tender and contractual documents for new construction projects in GCC, working with the commercial/technical department to identify and assess legal and commercial risks and propose risk mitigants.